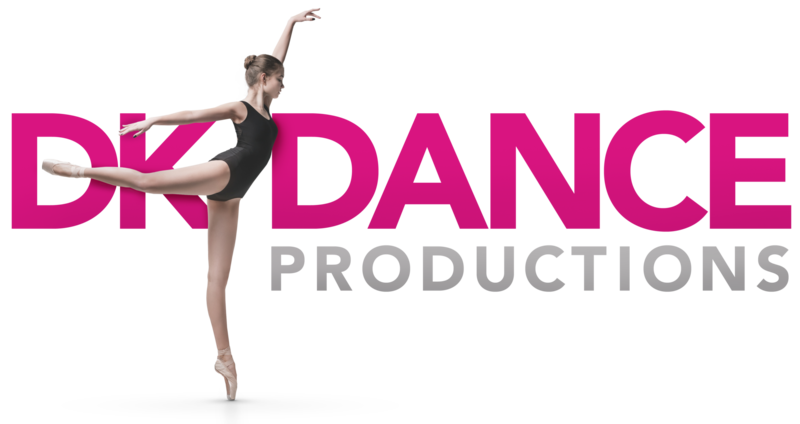 DK Dance Productions Brings 13 Years of Proven Results, Structured Curriculum and Trained Teachers to Alton, Illinois and Florissant, Missouri! DK Dance Productions is a dance studio headed by Darci K. Ward. Darci has been dancing since she was 3 years old and has been teaching dance for 20 years. She started dancing competitively when she was 9 and continued competitive dance through college. For as long as she can remember, Darci has loved to dance and has wanted to help others discover the joy of dance. When the opportunity arose to open the studio nearly a decade ago, she jumped at the chance, knowing that nothing in life made her happier. Darci has an MBA from Lindenwood University and a Minor in Dance from Missouri Valley College. She has created a dedicated and experienced team of dance instructors, with a combined 75 years of dance instruction experience. Not only are they instructors, but they are working dancers as well. To find a dance class that best suits your needs, contact us and receive an expert recommendation from one of our instructors that will fulfill your personal desires for learning to dance. So, I have been dancing at Dk Dance since the first year it opened and I am 15 now, and I have to say without DK I wouldn't have been able to do what I have done in life so far. They have helped me with getting scholarships, helped better my resume for modeling and acting, they helped me get on my high schools cheerleading squad, and they even have helped me to become a better person overall. You can tell all of the teacher really care for there students and we are kind of like a family. I mean well I see these people practically EVERYDAY and I love each and everyone. I promise there will be NO disappointments when coming here so if your contemplating wether or not you should come here. Take it from one of there student you WONT regret it. My mom even loves coming up there. My daughter danced at DK for 3 years. She was a member of the Stardust Company team for 1 year. This last dance year she decided she wanted to try something different so we left the studio. Well she has decided to return and she start back this Saturday. She is so excited to be back at DK. They are so pleasant and is really focused on making the dancers grow and build confidence. I secretly missed it myself. My daughter gained friends and a positive self image about herself. She is hoping to join the Rising Star team next season...GO DK!!!! Recently, unfortunately, my husband passed away. We were living in Chicago where he worked. When he passed, I wanted to move back home where my family was, in Florissant, MO. On top of the sad news of my husband, my daughter was now going to have to leave her friends, and her dance studio. I wanted to find a new Dance school for her immediately so that she could take her mind off of things, and get back to doing what she loves quickly. A family member recommended DK Dance Productions in Florissant, MO, I am so thankful to have found such a tight knit and amazing Dance school to send my daughter! DK Dance Studio, is simply fabulous. My daughter loves it there, she is learning so much, and really enjoying herself as well! Thanks so much DK Dance! This was my daughter's first year dancing at DK, she fell in love with the studio after attending the summer camp and she insisted I enroll her here. She loves the fact that her dance teacher is sensitive to her feelings and is just a warm spirited person. I have noticed a major improvement in my daughters technique and her attitude overall. I love the fact that the tuition is very affordable, and the staff are very professional. We left another local dance studio to come here and that was the best decision I have ever made. I just want to thank the studio for welcoming us with open arms and being understanding when our family hit a rough patch. I would recommend enrolling your children here anytime! My daughter has been dancing here since she was 3. Now, several years later, she is still loving every minute of it! The teachers are very experienced and have really turned my daughter into an amazing dancer! I recommend DK to every I know! You won't be disappointed!! DK dance has been amazing, This has been our first year and it has been superb. I recommend the studio daily, my girls love it.Their teacher has been very patient and very loving, treats all the kids like her own. I love that the staff is very attentive to the girl's needs and really takes time out for them. The fees are always affordable and communication is always very timely so that families can prepare. Again, I'm very pleased! My twins have enjoyed this dance year and I think DK will always be part of our lives. Thank you for doing a wonderful job with our daughter for the past 2 years. Janie want just from dancing around the house at age 3, to 5 1/2 with poise, grace, confident, and the ability to shine. We are saddened by all the girls leaving DK after this year, but spotlight on Miss Sonja and Miss Allison for all their patience, love and wisdom. Best wishes to the both of you in all future endeavors. I absolutely LOVE this studio! I HIGHLY recommend DK Dance to everyone!! We have both our daughters in the classes here and they love it! Our oldest is in her 2nd year of the Stardust team and she enjoys every minute of it. Our youngest says that she will try out when she is older. The staff is amazing, and so are the students. I love how the older girls look out for the younger kids. It is simply our 2nd family. If you want your child in something amazing, register them at DK!! You will not be disappointed. My daughter danced for a studio that unfortunately closed so we tried another studio (close to home) that we did not care for. Someone recommended DK to us so we tried it. GREAT suggestion!! We took regular lessons for a year and last year my daughter joined company and LOVED it. It is a wonderful dance studio - very welcoming and patient crew. Darcy is very approachable and is quick to respond to communication. She has an excellent staff assisting her. The only way we would leave this studio would be due to a geographical relocation. We already drive about 20 minutes to get to lessons because it is worth it! Highly recommended. This is our 5th year at DK Dance and I could not be happier with the studio, teachers, front desk help, back desk help and probably a lot more people who make this all happen. My daughter has progressed tremendously in her dancing ability and is growing into a talented and poised young lady. This is a great place to start your tiny one at and let them grow with the other dancers. Everyone is very professional and very helpful. I strongly recommend this dance studio if you are anywhere in the area. My daughter has been dancing with Darci and her staff since the studio opened. She has blossomed from a shy quiet wallflower to a poised and confident dancer. All the credit goes to her teachers, as her parents don't know a chaines from a chasse. We are a part of the competition teams, I am pleased in each competition to see that the costumes and choreography for our girls are age appropriate and appropriately challenging and fun for their level of experience. Ours is a warm and welcoming studio, please join us! You'll be glad you did.